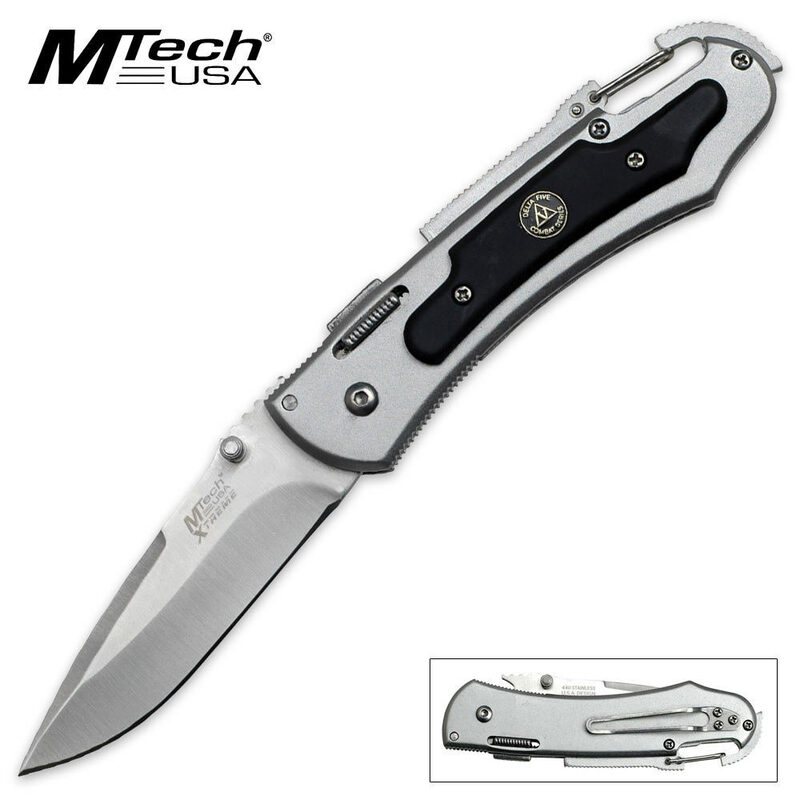 MTech Xtreme Folding Pocket Knife Silver | BUDK.com - Knives & Swords At The Lowest Prices! There's nothing boring about the MTech Xtreme folding pocket knife! Featuring a 440C stainless steel blade with a built-in thumb stud, this bad boy is both stylish and functional. The triangular lock mechanism allows for an easy open and close. The unique handle design features an overlay, pocket clip and carabiner clip. Very good blade but could have a tighter lock and a much better lanyard.